Morning Brief is an exclusive member benefit of the American Osteopathic Association that provides osteopathic physicians with a summary of the most important news relevant to their professional lives. The Morning Brief publishes every Monday, Wednesday, and Friday. Sections include Patient Care And Prevention, Serving Our Communities, and Practice Management. 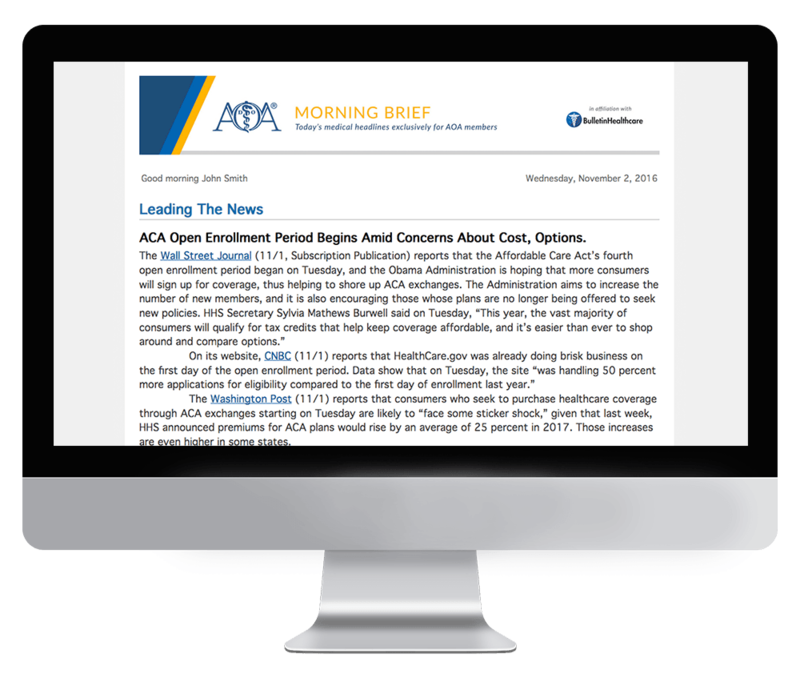 Subscription to Morning Brief is exclusively limited to AOA members. If you are a member of AOA and would like to receive this briefing, please reach out to the association directly.